The Kellogg Family Foundation’s mission is to support the aspirations and goals of Edward and June Kellogg. Over the years, the Foundation has partnered with many great international organizations, including Operation Gratitude and M.O.S.T. Ministries, to set up dental and missionary clinics in underserved parts of the world. GCA's mission is to train pilots, as well as arrange and set up locations to provide emergency support to remote villages in South and Central America. The Kellogg Family Foundation is committed to serving the community, church, and those less fortunate. Over the years, the Foundation has supported local nonprofits such as the Center for Success, Triple R Ranch, and Love INC in providing programs, dental cleanings, counseling, and assistance to those in need. A collaborative event to provide free cleanings, fillings, and extractions for people without dental insurance. We partnered with Shepherd of the Lakes Church in Brighton to add a Community Liaison to their Team. The Center for Success in Pontiac is focused on establishing relationships with children throughout the city. 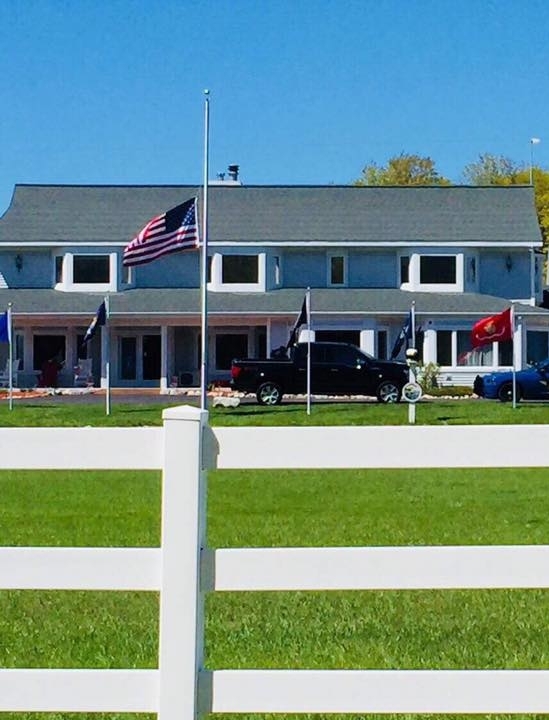 The Kellogg Family Foundation partnered with Operation Injured Soldiers to support additions to the Brave Hearts Estate. 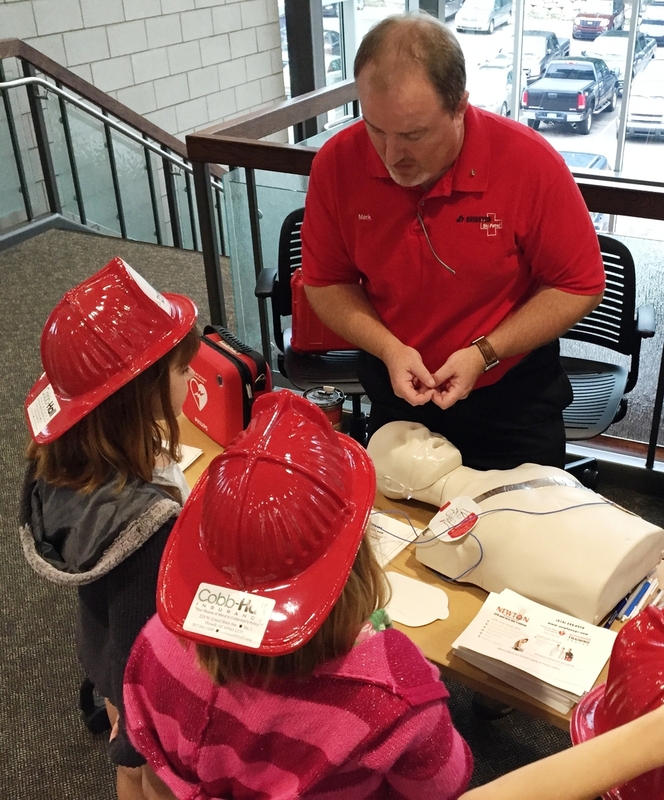 Kellogg Family Foundation supported the Family Emergency Readiness EXPO in Howell. 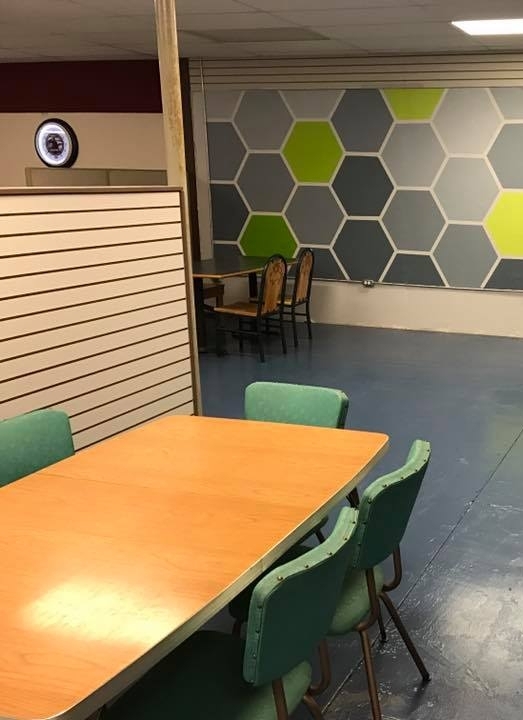 The Cyber Café at The Hive was developed to give our youth the resources and technology they need to succeed. The Kellogg Family Foundation is committed to increasing the opportunities for local families. The Foundation partners with local non-profit organizations such as LESA and LACASA to provide physical, emotional, and spiritual support to families and children. A dream of Edward and June Kellogg, this camp provides a beautiful, close, easy access place to go camping and experience nature. The Kellogg Family Foundation has partnered with Livingston County Catholic Charities to support their efforts to expand foster care and adoption programs within Livingston County. LACASA's mission is to protect, advocate for, and empower victims and survivors of child abuse, domestic violence, and sexual assault. Excel Employment Options supports school-aged children and young adults on the autism spectrum by providing a fun and functional learning environment. LESA provides a variety of programs and services that support student achievement in the local community. The Kellogg Family Foundation is committed to creating opportunities for local organizations such as Boy Scouts of America and Recycle Livingston. The Foundation partners with these community organizations to help them branch into new areas of need and expand existing programs to serve more people. The Region 9 Veterans Community Action Team aims to create effective relationships among community partners who guide veterans. The Kellogg Family Foundation has partnered with Recycle Livingston in support of their mission to promote recycling and waste reduction in Livingston County. An event that took place to remodel and expand the aging Livingston County Veterans Memorial. The Kellogg Family Foundation’s philosophy of supporting local programs and volunteerism will help further our efforts to promote and attract people to our downtown district. The Kellogg Family Foundation is excited to be able to provide a new trailer for Troop 336 in Fowlerville, Michigan. The Howell Carnegie Library received a grant for “The City of Howell Clock." The clock was dedicated in honor of Edward and June Kellogg's service to the community by former Howell Major, Geraldine Moen. Edward and June Kellogg built the Kellogg Family Foundation on the principles of education, knowledge, leadership, generosity, and caring. The Foundation is committed to providing education and support for our future generations through education initiatives and programs for area youth. The John Harvey Scholarship program exists to provide three $500 scholarships to high school students looking to pursue a career in the medical/dental professions each year. The Kellogg Family Foundation has committed to 50 percent of the total educational expenses to support David through his Medical Training. 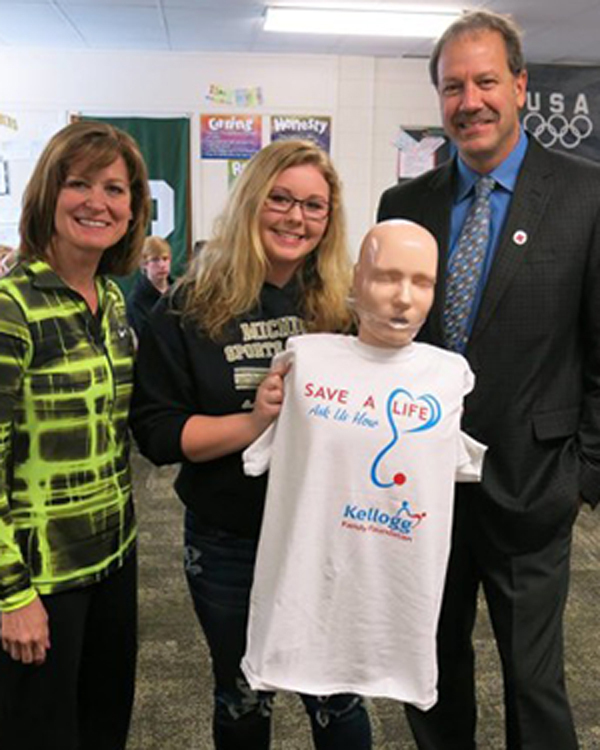 The Kellogg Family Foundation is proud to partner with the Red Cross to provide health care opportunities and CPR training within the community. Over the years, the Foundation has provided grants to these organizations to help them do more life-saving work right here in our community where the need continues to grow. The Kellogg Family Foundation is proud to work with such an amazing organization like the American Red Cross.